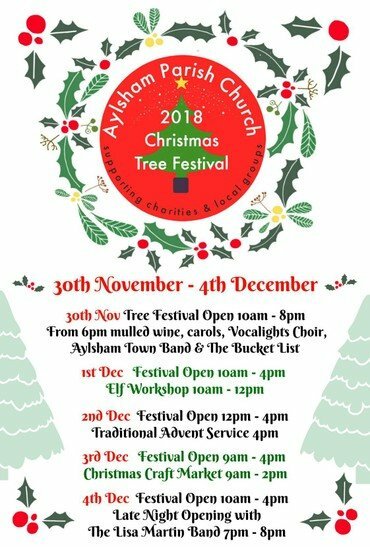 The Christmas Tree Festival is part of an extended weekend of celebrations, which includes the town’s lights switch on, music from Vocalights and Aylsham Town Band, a lantern procession; an Elf Workshop for all the family, a craft market and a live band to close the festival. “It is wonderful that the Church will be at the centre of the Town’s Celebrations, we are delighted that we will be helping to support over 35 local, national and international charities over the weekend. The Festival runs from Friday 30 November to Tuesday 4 December.